I have been using Google Docs for a couple of years now. I like it. Joleen Ruffin and I started a company (it failed) a couple of years ago. From our desks at AltamontCowork, we shared documents, saved documents, and even worked on documents in real time using Google Docs. The only real issue I had with Google Docs was keeping the files on the cloud synchronized EASILY with the files on my computer. I never really got a handle on that task. Lately, I have been helping JBB Cleaning Services, Inc. get the paperwork started that any start-up might need. PR, business cards, flyers, income / expenses, bids, pictures of recent jobs, etc., etc. I got Lucille set up on Google Docs and shared the folder. This worked out ok (not great…just ok), because of the problem I mentioned above: Syncing my computer with the Google Doc cloud just was not happening. Then Google Drive was finally released. I looked at it, and low and behold, it appeared to solve the one real problem I had with Docs. So I gave it a trial run. I like it, even though I lost a folder on my computer (I still do not know how or why this happened). My backups are now automatic, and easy as pie. Here is how I totally under-use Google Drive (I will get to the other features eventually). I click on the Drive icon to open up the folder on my computer designated to hold my Google Drive folders and files. 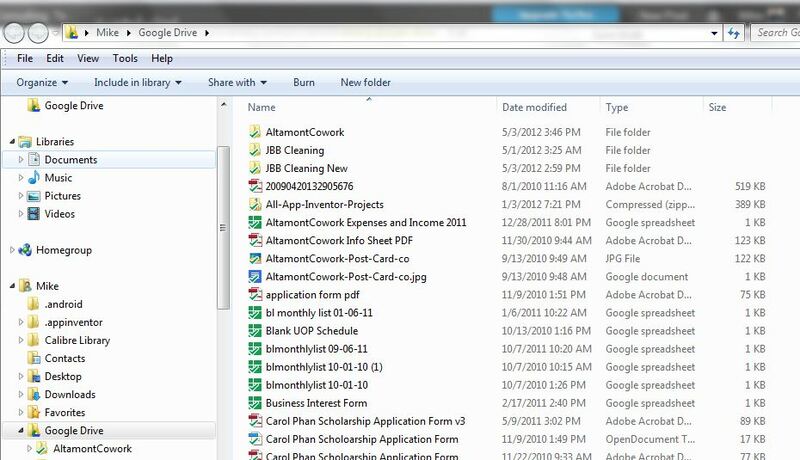 The green check mark means that the file or folder has been synced with the cloud. All I need to do is open the file I want to modify, or make a new one, and save it in this folder, and it automatically backs up to the Google Drive cloud. Lucille also has access since we shared this folder. 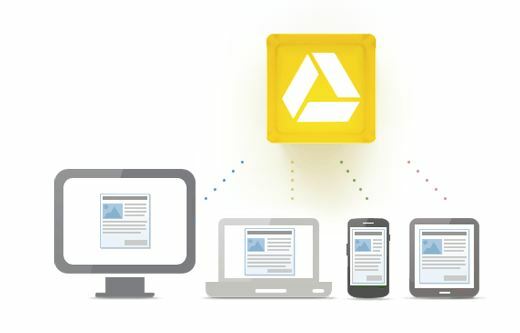 Google Drive has many other features that enhance collaboration. I am using just one, but, this one has certainly eased my working life tremendously.